Care2 Healthy Living | Which Fruits Have the Most Sugar? Fruit is an important, and delicious, part of our diet. Full of fiber, antioxidants and other phytochemicals, fresh fruit is a great source of sustainable energy. Whole fruit contains fiber and other nutrients, which allow the body to feel more full and to absorb the sugar slowly over time. Some fruit choices, however, might be better than others. Since dried fruit and fruit juice contain a higher-concentrated sugar content, whole fresh fruit is generally a better option. Many people today consume an excess of sugar, which can cause inflammation, weight gain and a host of other problems. 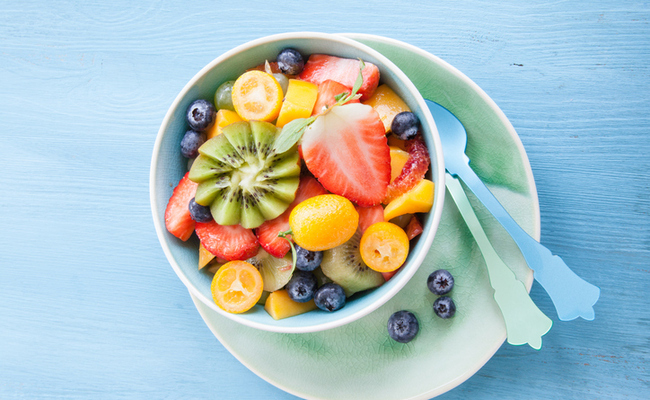 Prioritizing low-sugar fruit can help keep your overall sugar consumption in check. The list below shows where fruits generally rank on the sugar-content spectrum. However, the amount of sugar in a fruit can vary depending on growing conditions, species and ripeness.